Things have been so busy around here with weddings and events, we noticed it had been awhile since we did a Tuesday Shoesday feature. 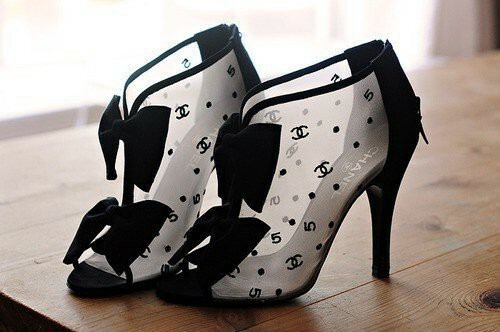 Here's a little Chanel shoe candy - how darling would these be peeking out of a frothy white (or blush) gown? !